There are summaries for each weekend (that's from Good Friday to Easter Monday in each case), mainly extracted from the Monthly Summary of the Daily Weather Report (Meteorological Office), the London Weather Centre "Daily Weather Summaries", and the Royal Meteorological Society's "Weather Logs"; in latter years I have worked up summaries from data freely available on the internet. In addition, I added data obtained personally whilst I was working for the Met Office, and subsequently by inspection of original publications. Always bear in mind that in summaries for a whole country, particularly one as diverse meteorologically and geographically as ours, there will be subtle variations from the broad descriptions given here, particularly at this time of year when coastal areas can have markedly different conditions to those well inland. Warmest: Highest temperature observed from Met Office summary (as issued to the Press at the end of each day), or from main synoptic list prior to this series. I may not have captured the absolute highest temperature on each occasion. Sunniest: Sunniest spot from Met Office summary, or from main synoptic list prior to this series. Sunshine reports are very spatially irregular, and do not always correctly attribute amounts between days. From the caveats above, these figures may/will not be the 'last word' on extremes, but will give the correct 'flavour' for the weekend. Dates for Easter . . .
Latest (possible) date for Easter Day: 25th April. Sunrise / sunset times . . .
BST [ British Summer Time ] (= GMT+1); add one hour to the times given for this date. Therefore sunset 'by the clock' after 8pm, and nearer 9pm in the north. By adding up the total sunshine on all four days (Good Friday to Easter Monday inclusive) for Glasgow, Belfast, Manchester and London, a crude 'SUNINDEX' is achieved which shows: . . .
YEARS WITH HIGH VALUES (going back in time to 1958): 2014(137), 1981(165), 1980(138), 1971(133), 1969(166), 1968(133), 1960(133). YEARS WITH LOW VALUES (going back in time to 1958): 2012(14), 2005(35), 2004(32), 1999(39), 1992(37), 1985(34), 1972(26), 1966(19), 1964(15), 1958(38). The 'best' year by this measure was: 1969, closely followed by 1981. This measure does indeed pick out what was probably the finest Easter weekend in this period, although not exceptionally warm. East coast resorts though had cold winds/persistent cloud-fog off the North Sea. (1984 the best for warmth, but not for sunshine). 'Quick-Look' Summary . . .
1958 Snow West Country/Channel Isles as well as other east & northern areas. Cold wind. 1959 Unsettled/showery: mild, but sometimes brisk wind. Fine Monday north & west. 1960 Sunny: fine/mostly dry in south; cloudier Monday in north. 1961 Chilly/wintry but bright in north; mild but dull & damp in south. 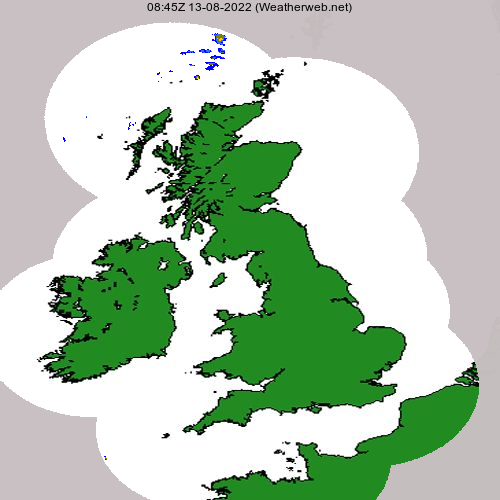 1962 Wet/dull until Saturday, then dry & sunny: becoming warm on Monday. 1963 Very unsettled. Wet in north on Sunday and in south on Monday. 1964 Dull & dreary. A cold easterly type. Dullest in London on record. 1965 A promising start then downhill to a wintry end. 1966 Dull for many; cold east winds spoiled the end of the weekend. 1967 The warm promise before Easter failed again! 1968 Not bad: reasonable sunshine but spoiled later by a freshening east wind. 1969 Dry, fine and very sunny - east coast resorts fog/cold wind. 1970 Unsettled - cold northerlies then less cold westerlies. 1971 Soon dry & mostly fine. Warm but an easterly wind in south. 1972 Mild (warm in south) - damp/cloudy, with some wetter spells. 1973 Cyclonic/east or NE'ly - local snow in south. Better in west Scotland. 1974 Fine/sunny away from North Sea influence. Frosty nights. Chilly in London. 1975 Cold/northerly - despite the sunshine. Snow for many. 1976 Mostly fine/warm/reasonably sunny (but irregular); cloudier north & on east coast. 1977 Wintry/sharp frosts with hail & snow; then less chilly. 1978 Disappointing - cold, cyclonic with often chilly west winds. 1979 Some fine, very warm weather - very little rain. 1980 Chilly mornings, but reasonably sunny and warm by day. 1981 Fine/sunny start then downhill for some. Chilly northeast winds. 1982 Rather cold, but bright/mainly dry. Less wind by Monday. 1983 Distinctly wintry, with significant snowfall in places. 1984 Fine, very warm & reasonably sunny. Arguably the best in this series. 1985 Unsettled; often dull, wet & windy. Showery end to weekend. 1986 Showery/windy & chilly with longer periods of rain. 1987 Very warm/sunny start - cooler with showery rain later. Breezy. 1988 Indifferent: a wet start in the west & north; slowly getting better. 1989 Rough/stormy start - very warm, mostly dry by Monday. 1990 Unsettled - rather chilly & windy. Heavy showers Monday. 1991 Downhill rapidly from Friday. Cyclonic/windy on Monday. General lack of sunshine. 1992 Notably warm in south; cooler in north. Little rain. Indifferent sunshine. 1993 Cyclonic/cool: sometimes windy. Local heavy rainfall. Better Monday in southeast. 1994 Wet/windy/cool: local storm-force winds early Friday. 1995 Fine/warm start then colder & cloudier. 1996 Good in parts. Windy & damp in west & north by Monday. 1997 Many places increasingly warm/sunny. Cloudier in northwest. 1998 Cold/wintry showers. Mopping-up in Midlands after major floods. 1999 Marked lack of sunshine but temperatures above average. 2000 Disappointing, given how late it was. Part of very wet April. 2001 Often brisk, rather chilly wind. Showers or rain for most. 2002 Fine/sunny start - going downhill with limited sunshine; not bad in southeast. 2003 Fine/warm start; sharp chill Saturday then slow recovery. 2004 Quiet - large areas cloudy, some showery rain. Temperatures near average. 2005 Large areas sunless/some rain; south & Wales warm sunshine/mostly dry. 2006 South - warm, long dry periods; north - showery / cool but often sunny. 2007 Dry, sunny for large areas; rather windy in north. Warm S & E.
2008 Wintry with strong winds. Snow N & E; very cold (except SW), but sunshine for most. 2009 Fine Scotland, much of north & western England; notably dull London & the Home Counties. 2010 Lack of sun; cool N & W, warmer, if windy on Monday. Rain at times. 2011 Fine/warm (records broken) England, Wales; some rain northern UK. 2012 Marked lack of sunshine: wet, breezy & cool on Monday. 2013 Coldest Easter for over half-century; generally dry - irregular sunshine. 2014 North, fine; South, cold/wet Sunday else fair - thunderstorms Monday. The start of Easter saw sunshine and record April temperatures (at that time), in many parts of the country; 23 degC was exceeded in places on the 15th, whilst on Easter Saturday, the 16th, an amazing 29.4 degC was recorded in London (at Camden Square); this is the highest recorded temperature in April for the 20th century in the British Isles (i.e. not just for the Easter period). However, a cold front moved east during the day, bringing some patchy rain, with a few thunderstorms over north-east England at night. Nevertheless, temperatures still reached 21 degC in parts of the south-east of England on Easter Sunday and Monday. In recent times, 1984 (q.v.) ran this one close, but 1949 probably still stands out, particularly as the Easter Sunday fell on the 17th, about a week before the latest possible date for the day. This Easter holiday is arguably the 'gold-standard' for such since the end of the Second World War, with only the aforementioned 1984 coming anywhere close to equalling it for warmth & sunshine. A lot of fine sunshine this weekend, particularly in sheltered eastern and northeastern areas. However, the weekend was slightly spoilt by the sometimes chilly / brisk NW wind, and although temperatures were above average, the wind-chill would have been a notable factor preventing full enjoyment of beaches etc. Only the northeast and east coasts of both England & Scotland missed out on the very fine, almost dry and sunny weekend. In these areas adjacent to the North Sea (cold at any time, but especially so in this first week of April), sea fog / stratus was a problem. For most though, temperatures climbed well above the average for an 'early April' Easter holiday, with maxima well above 18 in the south by Sunday, and above 15 in the north. Several stations broke all-time sunshine records for the weekend. With anticyclonic southerlies gently becoming established over the country, temperatures climbed well into the low 20's Celsius, with some stations breaking all-time records for day maxima. By the last two days of the weekend, many areas had little or no cloud worth speaking about, but as the easterlies picked up along the North Sea coast, conditions there were not so good, with areas of low cloud developing, and a notable chill. This is towards the end of the span of time when Easter can fall, so the chance of high temperatures was enhanced for that reason alone. Apart from 1949 (see above), this Easter holiday was one of the rare "notably warm & reasonably sunny" weekends since the end of the Second World War. The week leading up to this Easter weekend saw the weather maps dominated by high pressure, and so often in the past such pleasing anticyclones fade away with the arrival of Good Friday! Not so this year, with the High settling down over or just to the south of Britain and for most, the four days were dry, with large amounts of sunshine across the south & sheltered east. It was cloudier (and increasingly windier) over northern areas, but this meant that sheltered parts of NE England, East and NE Scotland had fair, warm afternoons. Although some coasts with onshore breezes were chillier, the combination of sunshine for most at some time, the largely dry nature of the 4-days & the well-above average temperatures inland for many meant that this holiday weekend was very pleasant. For England & Wales, despite some lively thunderstorms developing during the course of Saturday, it was an extended weekend with plenty of sunshine and temperatures well above the late April average. On Saturday, a maximum temperature of 27.8degC was recorded at Wisley RHS Gardens, Surrey, and by this single-station measure it became the warmest Easter since 1949. The warmth was spread out over large areas of inland England & Wales (and the Channel Islands), and even northern areas of the UK had reasonably high temperatures during the first couple of days (away from coasts), though Atlantic air displaced this warmth eventually. This Easter may have eclipsed that of 1949 (q.v.) over England in particular, considering how widespread the high temperatures were over the number of days involved, even if the specific '29degC' (as in 1949) wasn't reached/exceeded. The south coast of England, along with sheltered western coasts elsewhere, enjoyed fine, strong sunshine and a run of above-average temperatures to gladden the heart & boost the flagging economy! A wintry weekend (17th-20th Apr): As high pressure persisted in a broad belt to the west of the British Isles, the flow pattern was north or northeasterly throughout the weekend, with the source somewhere well north of the Arctic Circle or northern Scandinavia: the often strong winds brought sleet/snow showers to eastern areas of Britain; frequent hail and snow showers affected these regions, and snow settled in some places by Easter morning - 7.5cm was recorded at Bury St. Edmunds (Suffolk), and there were more heavy snow showers across northern and eastern areas on Bank Holiday Monday. Temperatures were much below average, with a strong chilling effect in the wind. Good Friday started out with a Severe Storm, and overall there was a lot of rain, wind and depressed temperatures - the highest temperature anywhere over the whole weekend was 12.9 degC at Folkestone on the Monday, but many places struggled to make absolute maxima into the range: 5 to 8 degrees on the Monday, and snow was reported from lower level stations over the weekend. A very cold weekend, with snow for many, though amounts of snow were not particularly great taking the country as a whole - the snowy spots were in eastern England (including the North Midlands), N & NE Scotland. It was the coldest (by the highest temperature observed over the whole 4 days) since 1983, and using the Heathrow/Kew Observatory series, it was possibly the coldest Easter period since the 1930s. Perhaps the fact that other elements (the economy, terror threats, political crises etc.) contributed to downbeat impression of this holiday? It was, of course, almost the earliest that Easter could fall (by one day). A marked lack of sunshine over the four days [lowest 'sunindex' in my series which began in 1958] - and on Monday, some wet weather for most, but especially over England & Wales: for England, this rain was 'useful', given the extended dry spell that some central, east and south-eastern areas were experiencing, but hardly welcome on a holiday. Temperatures average at best, except where some prolonged sunshine blessed southern areas over the weekend. March 2013 was widely the coldest such-named month since 1962, and probably in the 'top-20' of coldest Marches in the previous (350) years! It was also colder than the 'standard' winter period December 2012 to February 2013. However, by the Easter weekend, the worst of the snow had gone, and the strong, penetrating winds had relented somewhat - even residual snow cover had diminished from all but northern & Welsh upland areas, so although it was a notably cold weekend, it was by no means completely unpleasant. The minimum at Braemar on the morning of the 31st March (-12.5degC) was the lowest for that date in the modern record, and by this measure, meant that this Easter experienced the lowest temperature in a very long time! Day maxima though were woefully short of the March/April 'junction' averages of 10-12degC: no-where reached 10degC on any of the four days; on several days, the nagging east or southeast wind returned to add to the chill. By the 'highest temperature reached anywhere on all four days' measure (9.4degC on Easter Monday), this was the coldest Easter in my series (begins 1958). Easter notes . . .
1. You are more likely to get snow in some parts of the country at Easter, rather than at Christmas, particularly (but not exclusively) if it is an 'early' Easter (but this is unlikely to be true for northern Britain). Over the last 50 years or so, snow has often appeared in the summaries as affecting lowland areas, if only briefly: for example: 1958, 1965, 1970, 1973, 1975, 1977, 1978, 1982, 1983, 1986, 1994 and 1998. The event of 1983 is probably the one that stands out, and occurring in early April, it was not exactly an 'early-Easter'. Snowfall was significant at times, sufficient to disrupt transport in some places. 2. Sea breezes are very much a feature, especially with the 'later' Easters, with the rapidly warming land/increasing strength of the sun, compared to the slow thermal inertia of adjacent seas, particularly the North Sea. Pure 'sea-breezes' and 'winds off the sea' often spoil many a first trip to the seaside for families, despite possible bright sunshine. 3. With generally lower absolute humidity (lower dew points) and potentially a cold land surface, night radiation is very effective at allowing temperatures to drop sharply, leading to some notably cold starts, although by the same token, the ensuing bright/strong sunshine allows a good recovery of temperature by about midday well inland, with lower incidence of 'convective infill', other factors being equal. 4. High pressure has a tendency to settle and become slow-moving such as to give east or northeasterly flows - colder winds off the North Sea, and always a risk of ending up with a 'cloudy high' syndrome. 5. It is not often fine for all 4 days at any one site. Time and time again, a fine start goes downhill, or the best days are reserved for the Monday … and sometimes the fine weather sets in after the break - with some notable occasions when near-record temperatures occur before the Easter weekend - a cruel blow. 6. Cooler sea-surface temperatures (SST's) do mean a lower risk of shower activity on windward coasts. 7. Sunshine is often strong (good and bad), and the air usually clean. The weather in early spring . . .
Glasgow: mid-March 9degC, March/April junction 10degC, mid-April 12degC. Belfast: mid-March 9degC, March/April junction 10degC, mid-April 11degC. Manchester: mid-March 9degC, March/April junction 10degC, mid-April 12degC. London: mid-March 10degC, March/April junction 12degC, mid-April 13degC. The day-length at this time of year (March / April) is noticeably increasing (and with it the potential sunshine), and temperatures generally rise, however this season is noted for chilly winds (colder seas) and 'reversal' to near-winter conditions. The sun is strong enough to feel warm when available, but conversely, if skies cloud-over then the benefit of the increased (potential) sunshine is lost.